This was one of the most amazing dives on this two week trip. On Mary (Mborokua) Island this dive site is called Jackfish point and is known for large schools of either jackfish or barracudas. Hergen Spalink called my attention to this school and we stayed with it for about 20 minutes. 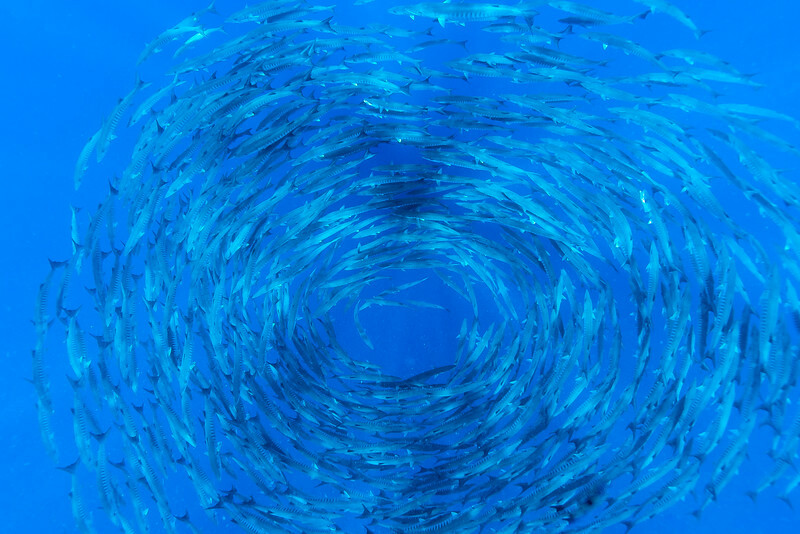 At the end they formed into this "Barracuda-nado" and sunk off into the depths out of sight.